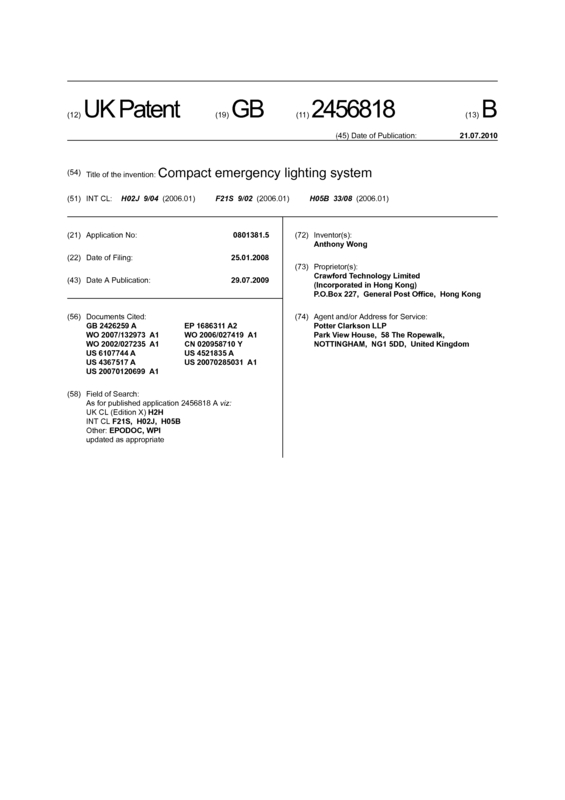 A compact emergency lighting system 1 installed or preinstalled into a standard component 100 of a building, e.g. a stair, handrail, door or window, comprising at least one small, high flux luminaire 11, such as a LED, which is installed on at least one side of the standard building component and powered by a battery backing up and charging unit 12 coupled to an AC power supply. The system may also be installed as part of a building services component such as an air-conditioning unit, a curtain wall or a sprinkler system. Normally, Residential buildings do not have the rules to pre-install any power cut , power failure system. My idea is to help on this . The simple system just pre-build in the building key elements like Windows frame , which normally no one wlll change or damage it within the life time of the windows systems. This is the key selling points. I have asked with lots of Architectural systems, Electrical consultants whom they agreed my point but no one is invented such system. This is a very unique and very cost effective , and useful system in which can really help on unexpected powercut . Page created at 2019-04-22 14:25:01, Patent Auction Time.